Hello my dears! I haven't posted in nearly two weeks! I am so sorry... 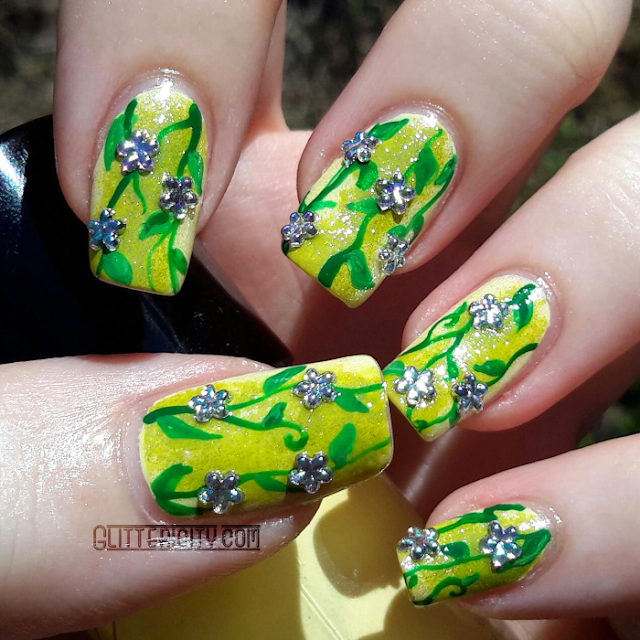 I have been working a lot lately, and I broke one of my nails D: it's all patched up and I have some pretty, sunny-looking nails for you today featuring these beautiful flower gemstones from Born Pretty Store! Click the jump to see more! 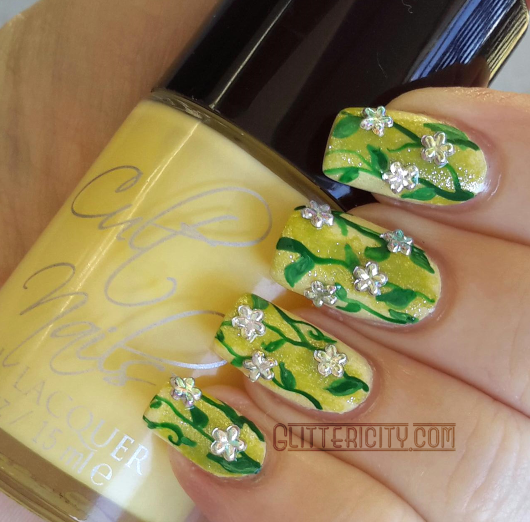 So, to show these gems off nicely, I started with two coats of Cult Nails New Day, the gorgeous lemon yellow creme bottle featured in these photos. 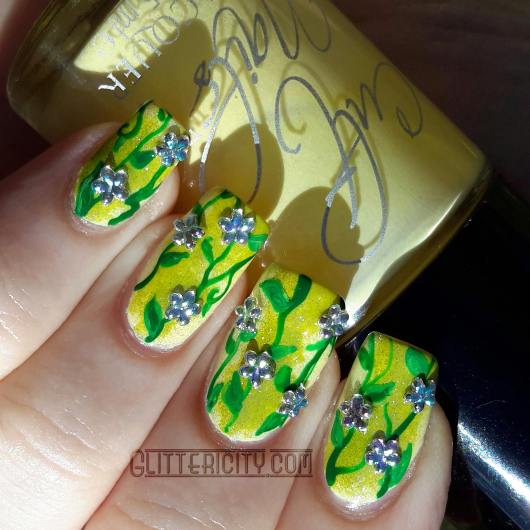 I also sponged on a tiny bit of Rimmel London Limealicious, just to add depth. For a bit of sparkle, I added my favourite shimmery topcoat--L'Oreal's The True Diamond, from their Magic Top Coats line. They're primarily silver, but they have that iridescent quality that make them shine in different oil-slick-esque colours. I think they're my new favourite stones I own! I should probably mention now that this set of stones comes with many varied shapes, not just flowers! There are bows and stars, as well as the usual shapes like square, teardrop, a few sizes of round ones, etc. 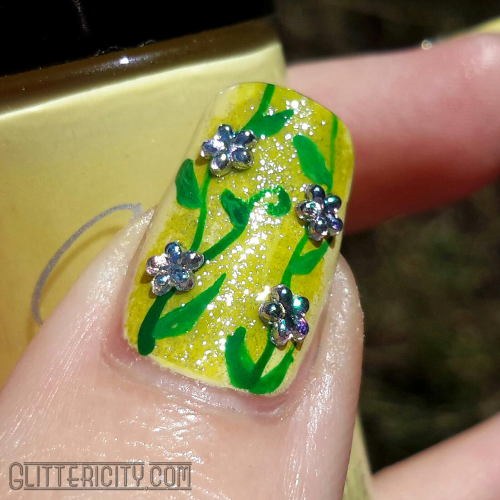 They're really pretty and didn't go dull when I topped them with Seche Vite to seal them in. I want to do something with the bows soon--they're so cute! 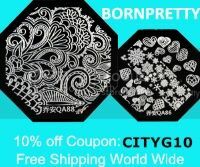 As always, use my discount code CITYG10 to get 10% off anything you want to order at bornprettystore.com! They ship everywhere in the known universe for free, so get in on this sparkly action!